NOS 6N14N-EB(6P14P-EV in cyrillic), 7189A high voltage Russian military tubes. They're back in stock! Get these high voltage sweet sounding drop in replacements for an EL84/6BQ5/7189 for your Manley Labs Stingray/Stingray II/Stingray iTube. Excellent for HH Scott, Fisher and any equipment that specifies a 7189. Glorious in Vox amps as well. 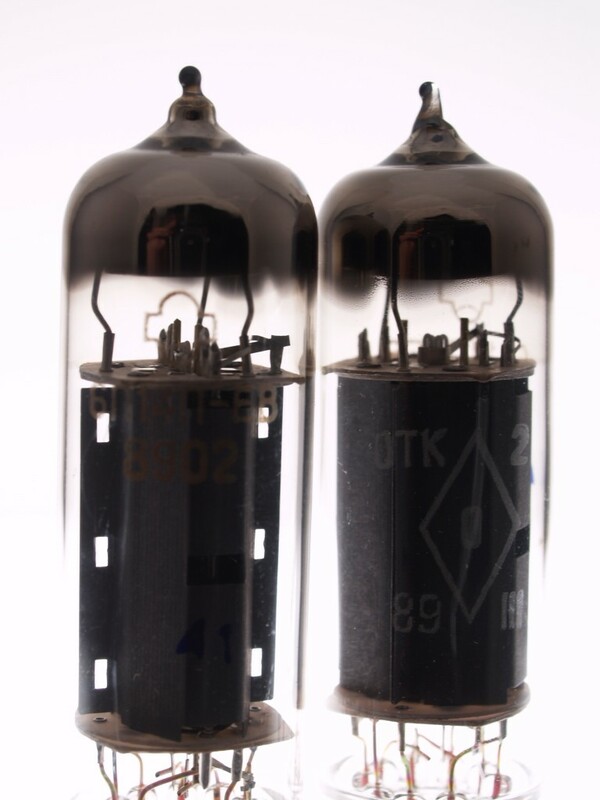 I can't remember which one, but I read about these tubes on one of the big great forums. The poster mentioned that the life of these tubes can be nearly 5x longer than the tubes being produced currently... I found that to be very intriguing, especially since the Blues Jr is known to go through tubes ridiculously fast. So, I bit the bullet and bought a matched pair rated at "Average" from Doug's Tubes. The price seemed right. They shipped fast, received them on time and they arrived very well packaged.